Dr Graeme L Blackman AO FTSE FAICD is an experienced company director and trustee. He joined Leading Age Services Australia (LASA) as Independent Chairman in Aug 2014. He is the Chancellor of the University of Divinity, a Director of the Australian Youth Orchestra, Chairman of the National Stem Cell Foundation of Australia, a member of the Board of Stem Cells Australia, a member of the Council of Trinity College at the University of Melbourne and a Director of the Melbourne Anglican Diocesan Corporation. Dr Blackman is a Trustee of numerous trusts including Chairman of the Anglicare Victoria Community Services Trust and a trustee of the Leith Trust and the Johnston Collection of Fine and Decorative Arts. He is a former Professor of Pharmaceutical Chemistry in the Victorian College of Pharmacy and was a non-Executive Director of IDT Australia Limited, a publicly listed pharmaceutical development and manufacturing company. He was the Chairman of the National Trust of Australia (Victoria), Chairman of the Australian Council of National Trusts and Chairman of Victoria’s Heritage Restoration Fund. He was the Chairman of Anglicare Victoria, a Director of Benetas, a member of the Chapter of St Paul’s Cathedral Melbourne, and was for several years a member of Archbishop in Council of the Anglican Diocese of Melbourne. Dr Blackman is an Officer of the Order of Australia (AO) for distinguished service to the pharmaceutical industry, to scientific research and policy development, to theological education and the Anglican Church of Australia, and to aged care. Robert has been associated with the aged care sector in a senior management capacity for more than 30 years and, during that time, has developed a broad insight and knowledge of the aged care industry, both at an operational and policy level. His career has spanned both the private and not-for-profit sectors. 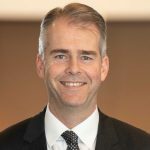 Robert is currently the Chief Executive Officer of Montefiore, a Sydney based provider of residential high-care, low-care and dementia specific services, adult day care, outreach and community services. Robert has been actively involved with the industry’s peak body, Leading Age Services Australia Ltd (LASA) for many years and is currently the NSW/ACT representative Director on its Board in which he holds the position of Deputy Chairman. As a Director on the LASA Board, Robert strongly advocates on behalf of the industry to ensure providers have access to adequate income streams in order to support quality outcomes for residents and the financial sustainability of the industry. Robert is committed to ensuring the long term financial viability of the industry and greater efficiency through reduced paperwork and a sensible approach to regulatory compliance. 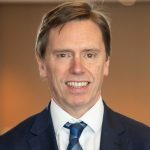 Currently Group CEO of Bolton Clarke, Stephen Muggleton is regarded as a transformational CEO with more than 25 years’ experience managing teaching hospitals and some of Australia’s largest residential aged and community care organisations. He has a Bachelor’s Degree in Applied Science, a Master’s Degree in Health Administration and is a Graduate of the AICD. 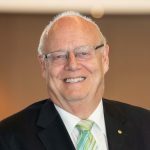 He has been a member of several industry, national and international expert committees on health and ageing and is currently a member of the LASA Queensland MAC, Co-Chair of Trade Investment Queensland’s Australian Silver Industry Group, a Trustee of the John Villiers Philanthropic Trust and a member of the Ageing Asia Advisory Board. His contributions to health and aged care have been recognised with an Adjunct Professor title from the University of Queensland, a Queensland Reconciliation Award, a Prime Minister’s Award and an Institute of Management Award for not for profit Manager of the Year. Stephen holds a Bachelor of Applied Science and a Masters in Health Administration. 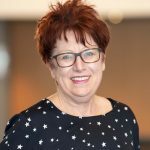 Dr Saranne Cooke is a professional director serving on a number of boards across the education, health, sport, superannuation and charity sectors. 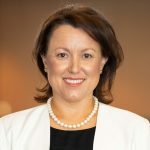 Her current appointments include directorships on the boards of Racing NSW, Western NSW PHN (Western Health Alliance), HESTA, Charles Sturt University and Fisheries Research and Development Corporation. She is also the inaugural Chair of the Western Region NSW Committee of the Australian Institute of Company Directors. Prior to her career as a professional director, Dr Cooke also held a number of senior roles within energy, banking and manufacturing industries. She holds a PhD in Board Governance, a Master of Business (Marketing), a Master of Commercial Law and a Bachelor of Commerce. Dr Cooke is a Graduate Member of the Australian Institute of Company Directors, a Fellow Certified Practising Accountant, and a Fellow of the Australian Marketing Institute. Kerri is Chief Executive Officer of Shepparton Retirement Villages, a position she has held for four years. Kerri has been working in the healthcare industry for nearly 35 years, including 20 years in senior management positions. Prior to her current role, Kerri held senior executive positions within both the public and non-for-profit health sectors including acute, subacute, residential care and mental health services. These roles have given her a comprehensive understanding of aged care from both a clinical and operational perspective, and in urban and rural settings. Currently working towards a Masters in Gerontology and Health Administration, Kerri’s specialties include service growth, service re-engineering, change management and budget realignment. Prior to the unification of LASA, Kerri was a Director of LASA Victoria from 2013 to 2016. 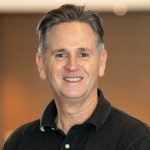 Nick is Chief Executive Officer of Seasons Aged Care, which currently owns and operates six aged care communities across South East Queensland. 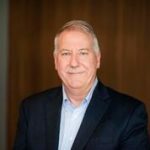 Nick has more than 35 years clinical and executive management experience in private hospitals, public hospitals, health insurance, retirement living and in-home community care, and was a Board Director of LASA Queensland from 2013-2016. Nick holds a Master of Health Administration, a Bachelor of Science Nursing and Post Graduate Qualifications in Trauma Management, Coronary Care, Hyperbaric Management and Midwifery. He believes passionately that at every stage and every age, each of us strive for ‘quality of life’ and he is determined that advanced age is no more a ‘disease’ than is youth – both have their challenges. His vision is that aged care, focused on quality of life and respect for the choices of our elders, can be delivered in any location. David is Chief Executive Officer of profit-for-purpose ECH Inc, South Australia’s biggest provider of housing and support services for older people. He has worked within health and social care services for almost 40 years inthe UK and Australia, over half of which has been at Chief Executive level. From 2004 David spent 10 years within the SA public health system heading up Central Northern Adelaide Health Service, where he was responsible for leading reforms including the development of the new Royal Adelaide Hospital. Since 2015, he has transformed ECH from a ‘traditional’ aged care provider into one that has moved away from residential care to focus entirely on independent living and enabling people to have choice. David holds a BSc (Hons) in Experimental Psychology and a PhD in Developmental Psychology. Chris is Chief Executive Officer of Bethanie. He has over 20 years’ experience in management and senior management across a number of industry sectors, positions that have included State Commercial Manager, Regional and General Manager, Chief Operating Officer and CEO. 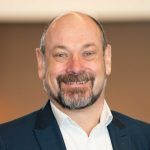 A dedicated Health and Community Industry Leader, Chris has participated on a number of industry related boards over the past decade including National Director with LASA – Leading Aged Services Australia, the President of the LASA-WA. 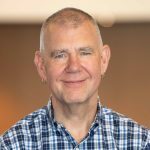 He is currently a director of the disability provider, Interlife, the Chair of the Aged Care Forum at the WA Chamber of Commerce and Industry (CCI), as well as a Member of the General Council of WA-CCI. Chris holds a number of degrees across Science, and Health Management and has also achieved a Masters of Business in Health Care Administration. Sean Rooney has held several Chief Executive/Senior Executive roles in public, private, and not-for-profit sector organisations. He has led membership based organisations and represented the interests of members on the local, national and international stage, including the development and delivery of a range of value-adding services for members. In addition, he has practical experience at the nexus of the health and aged care sector, having been the former Chief Executive Officer at the Australian Medicare Local Alliance. In this role he led and managed a national, member-based organisation with a large workforce and an annual turnover of more than $28 million, coordinating, supporting and meeting the individual and collective needs of all Medicare Local members. Previously, Mr Rooney was the Executive Director of Sustainability & Climate Change in the ACT Government. He has also held executive roles at Sinclair Knight Merz where he managed the sustainability capability and at the CSIRO, where he held a number of roles including Director of the Sustainable Communities Research Program and CSIRO’s Australian Government Business Manager. He has also held a range of other senior business management positions in other organisations. His qualifications include a Bachelor of Commerce from the ANU, a Masters of Business Administration from Melbourne University and Post Graduate qualifications in Cross Sector Collaboration from Cambridge University.